Your application must be responsive - all responsive items listed in Section III of the FOA must be included and/or addressed as instructed in your application. If all the requirements for an application to be responsive are not met, the application will be determined to be non-responsive, and will not be referred to a merit review panel to be considered for a potential grant. Grants.gov does not check an application for required forms, narratives etc. (responsive items); hence, an application can be "successfully" submitted or "validated" through Grants.gov, but may still lack one or more responsive items that will result in the application being determined to be non-responsive. Applicants are strongly urged to double- check their application before the closing date/time and if necessary, must resubmit before the deadline for applications. Question: If I am submitting electronically and experience trouble with Grants.gov, where do I go for assistance? Answer: The website for Grants.gov has a wealth of technical assistance information. Grants.gov also has a help desk and we strongly recommend obtaining an official ticket to document any trouble that you experience. Submitting an application through Grants.gov can be complex and time-consuming. As noted in each FOA, applicants are warned to initiate the process as soon as possible and to plan for leaving enough time (we strongly suggest at least 48 hours) to resolve technical problems if necessary. If Grants.gov goes "down" or has a documented system problem, DOL will consider circumstances beyond the control of applicant(s) when determining if an application is to be deemed late. Technical problems that are the responsibility of the applicant that are not resolved through a corrected application being submitted electronically or via paper before the deadline for submission, will result in the application being determined to be non-responsive. 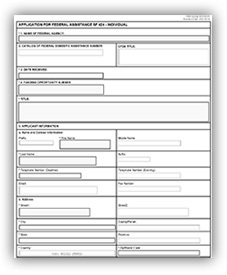 Examples include, DUNS # typed incorrectly, SAM registration is not current or was not renewed in time to meet the application deadline, Authorized Organization Representative not registered/available, commencing application without allowing enough time to finish the Grants.gov application process prior to the FOA closing time, etc. Question: I submitted my application a week ahead of the closing date, but found an error the next day. Can I re-submit a corrected application? Answer: Yes, applicants can submit a corrected or revised application as long as the re-submission is before the deadline for submission as stated in the FOA. If multiple applications are submitted, ETA will review the application with the most recent date/time stamp that is received before the deadline has passed. Previous applications will not be reviewed if the last timely application is determined to be non-responsive. Question: I started my application submission in Grants.gov before the date and time listed in the FOA, but I did not complete my submission before the date and time listed in the FOA. Is my application timely? Answer: No. The Grants.gov date and time stamp will be used to determine if your application was submitted in a timely manner. If that date and time stamp is after the deadline for timely submission of the application, the application is untimely and will not be reviewed. Question: I failed to include my DUNS number on my paper SF-424 application, and it is one of the required items mentioned in the Screening Criteria section in the FOA. Can I send it separately? Answer: No. Only applications that are complete and received in a timely manner will proceed through the application review process. A Federal Register Notice issued on June 27, 2003 (68 Fed. Reg. 38402), established the government-wide policy of requiring a DUNS number: "Every application for a new award or renewal of an award, including applications or plans under mandatory grant programs, submitted on or after October 1, 2003 must include a DUNS number for the applicant. Unless an exemption is granted, an application will not be considered complete until a valid DUNS number is provided by the applicant." Exemptions are not granted by the Employment and Training Administration. If you can fix the error and resubmit your application package with your DUNS number on the SF-424 before the deadline for timely submissions, that application will be accepted. Question: I forgot to include my budget narrative, and it is one of the required documents mentioned in the Screening Criteria section in the FOA. Can I fix my application and send in the missing budget narrative after the deadline for submissions? Answer: No. Only applications that are complete and received in a timely manner will proceed through the merit review panel. If you can fix the error and resubmit your application before the deadline for timely submissions, the most recent application will be deemed timely. Question: I failed to include the abstract, and it is one of the required documents mentioned in the Screening Criteria section in the FOA. Can I fix my application and send in the missing documentation after the deadline for submission? Question: I registered with the System for Award Management (SAM) over a year ago and my registration was not active when I submitted my paper application. Will my application proceed through the review process? Answer: No. Applications submitted by applicants found to not have an active registration will not be referred to the merit review panel. Question: If I receive an e-mail from Grants.gov saying my application was "successfully validated" does that mean my application was timely and responsive? Answer: No. Grants.gov does not check an application for required forms, narratives, etc. (responsive items); hence, an application can be successfully submitted through Grants.gov, but may still lack one or more responsive items. In addition, Grants.gov only has one submission time, 11:59:59 pm for the specified closing date. If ETA designates a closing time of 4:00:00 pm Eastern Time (ET), you could still submit an application through Grants.gov until 11:59:59 pm; however, ETA will deem all applications submitted after 4:00:00 pm ET as "late." Question: The FOA I'm applying for requires matching funds. If my application does not list my match requirement on the SF-424, but describes it in the narrative, will my application be forwarded for the merit review panel? Answer: No. If the FOA to which you are applying specifically states that it requires match and it must be listed on the SF-424, you must list match on the SF-424 for your application to move forward to the merit review panel. Applicants must enter the match amount on line 18b of the SF-424. If you can fix the error and resubmit your application with the match on the SF-424 before the deadline for timely submissions, that recent application will be deemed on-time.